This therapeutic teen weight management program can be incorporated into any Elk River Treatment Program. The Healthy Lifestyles program concentrates on changing negative behaviors in the long-term. By combining therapies, physical activities and a healthy diet, residents learn to make positive choices while maintaining a healthier lifestyle. Before arriving to Elk River, Cameron said he basically sat at his computer all day. Always a shy “giant” compared to his classmates, Cameron lost confidence in himself and began to isolate. Soon he began staying up all night playing video games with his new “friends” and refused to go to school. The last straw for his parents was when Cameron dropped out of high school. That’s when they found Elk River and the positive outcome was “unbelievable” according to Cameron’s mother, Christie. Healthy Lifestyles was incorporated into Cameron’s individualized treatment plan. 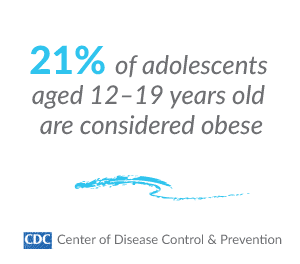 It is a medically-based, multidisciplinary and developmentally sensitive approach designed for overweight teens. The differences between Healthy Lifestyles and a “fat camp” is not only the facility, food, and staff, but the overall long-term result. Without dealing with the core issues (depression, co-dependency, food addiction), the weight will return. Our program addresses more than the problem with food. It provides intensive therapeutic and weight loss services for the whole teen and family. Residents in the Healthy Lifestyles program benefit from a state-of-the-art individualized program that is based on their unique needs. Healthy Lifestyles combines intensive counseling, fitness and nutrition education. In addition, weekly clinical exercise and nutritional assessments help facilitate safe weight loss. Residents attend individual and group counseling sessions to discover the core issues related to their eating disorder. Parents are involved in family counseling at home and with the Elk River Treatment Program (ERTP) team while their child is in treatment. Parents receive weekly progress reports and a personal workbook that mirrors their child’s program. The parent workbook promotes parent skills such as family-based problem solving, expressive communication, healthy limit setting and nurturing techniques. The family attends on-campus workshops throughout the treatment period. Workshops are intended to help families reconnect while working together on a plan for success. A highly trained and caring staff works with residents to promote a positive self-image. Healthy food choices, physical conditioning, and academic success create the confidence teens need to stop excessive behaviors and pursue healthier, more active lifestyles. Healthy Lifestyles equips teens with the tools needed to build self-confidence and the motivation to maintain a healthy weight.